A recent article published by bisnow.com titled “Inside the East Coast multi-million dollar Casino Arms Race” explored the potential for oversaturation of the Casino market now that ten East Coast states have legalized gambling. Prior to 2004 only three states on the East Coast offered gambling, and since then seven more states have legalized Casinos. The opportunity for job growth and economic stimulation is huge, with these new Casinos and Casino Resorts comes the potential for thousands of jobs and taxes that will increase state revenue but the competition is fierce. With each new Casino, there is pressure to offer more amenities and spend millions of dollars in the development of these Casino Resorts. Casino expert, Clyde Barrow said, “We’re entering a mature phase as you do with any industry. You have to build bigger and better just to remain competitive. That mean profits go down, the property attracts less investments and the market exhausts itself.” Meaning, that as the oversaturation continues the potential for economic stimulation and job growth goes down. 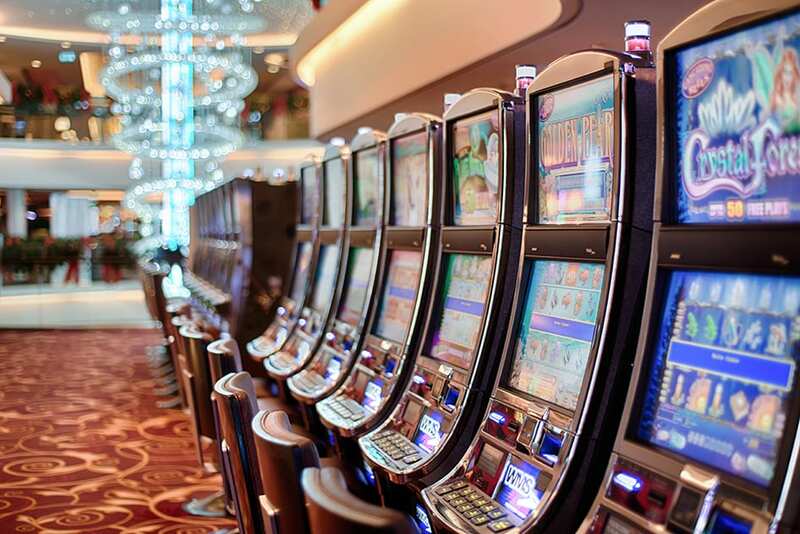 Casinos offering the best gambling floors, luxe hotels, five-star restaurants, upscale retail shops, spas and other amenities will find it absolutely crucial to provide the best impression to patrons if they want to have long term success in such a competitive market. The amenity that will produce the greatest and most lasting impression also happens to be the number one ranked amenity, parking and parking facilities. According to a recent CRE report, parking is ranked the number one amenity among the property management industries. While most patrons do not give much consideration to the parking facilities when they are initially attracted to Casinos, it is the parking facilities that sets the tone for the overall experience at these Resorts and will have clientele excited and impressed by the Casino before they step foot on the gambling floor. A positive, lasting first impression is found in the parking garage and will have such an impact on patrons that it will increase repeat patronage and improve word of mouth business. With this market being so competitive the first impression visitors have is crucial to the success of the Casino. Parking Sense and their suite of Intelligent Parking Solutions will be pivotal in creating an excellent first impression by providing the best parking experience for these Casino Resorts and their parking facilities. The leader in the parking industry, Parking Sense has been dominating the competition with their future-proof, three-part installs. The three parts of these installs are Parking Guidance, ParkUp mobile app and Asset and Data Management, while the first two parts will be what truly drives that lasting first impression on clientele, the asset and data management works on the back end of things and allows for the best utilization of the parking facility; with proper utilization comes a greater impression of how attentive the Casino is to their patrons needs and desires. The first part of the Parking Sense Intelligent Parking Solutions is parking guidance. LED lights are installed above every parking stall to indicate if the space is vacant or occupied. The LED lights allow for faster parking and prevent the frustration of circling the garage in search of an open stall. There is also signage at the entrance of these garages that show how many stalls are currently available, providing somewhat of a map for patrons to easily locate a parking space. The easy to use, stress-free experience found with the parking guidance alone goes a long way in impressing patrons and setting the tone for their time spent at the Casino. To further impress patrons and clientele at these Casinos, Parking Sense offers their free ParkUp mobile app, which works directly with the parking guidance hardware. Installed with each LED light is a bluetooth beacon that interfaces with the ParkUp mobile app. The app allows users to see how many stalls are available before they even leave their house and reserve a space ahead of time. When arriving at the Casino clients now find that parking is not only effortless but the entire transaction can be done on their mobile device. This innovative way to park provides an powerful first impression for the Casino Resort and patrons have been given the expectation that their time will be one of pleasures, indulgences and the premium Casino experience. When they are ready to depart, the ParkUp mobile app has a feature that guides users step-by-step back to their vehicle, allowing for the last impression on the Casino to be just as positive as their first. The third part of the Parking Sense system is the asset and data management and while it works on the back end of things it still lends to the lasting impression of the parking facility. The system operates on a server-less architecture that provides real-time, accurate data collection that allows for management to understand how the garage is being used and how to best utilize every available stall. While patrons do not see any of this, they do see how well thought out the garage is, how smoothly traffic moves and how there are always available stalls, even when the Casino is full of gamblers, consumers and clients. Again, the impression will be one of thoughtful innovation that has patrons returning over and over and telling their friends. With a mature market that is running the risk of oversaturation the first impression is so important. When the competition is battling it out over who has the best amenities it is crucial to remember that the number one amenity is parking and it provides the first and last impression. With Parking Sense and their suite of Intelligent Parking Solutions the parking facilities will aid in the success of these multi-million dollar Casino Resorts that are being developed all over the East Coast.